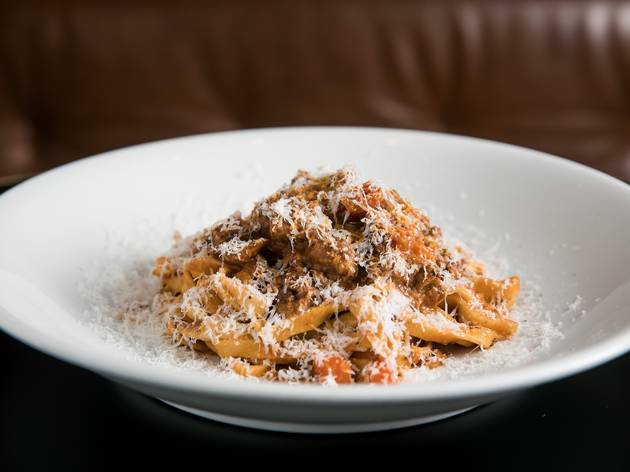 Melbourne may pride themselves on their Italian heritage, but Sydney is no slacker when it comes to Italian food. 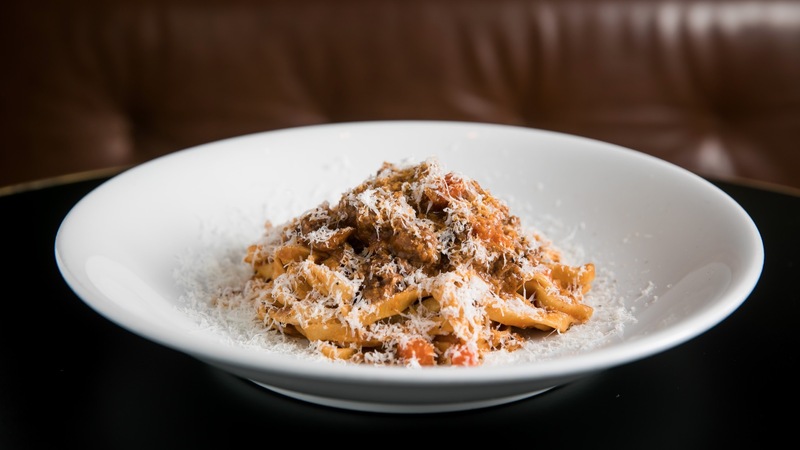 We have amazing delis, classic red sauce joints, high end pasta purveyors and a raft of gelato and pastry shops that will keep you riding high on sugar all year long. But it's our pizza game that shines brightest. 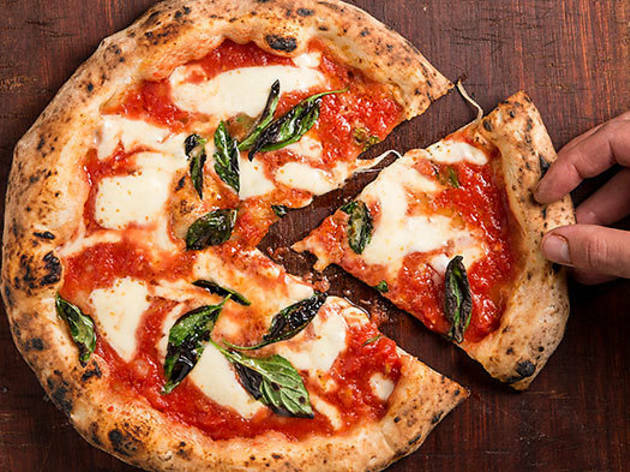 We know a thing or two about what it takes to make excellent pizza, and these are the places who are topping the class with their wood-fired pies. This is a menu you’ll want to eat all of, either in one sitting with ten friends or ten sittings with one. Here they have a pizze list where each is better looking than the last. And they really are excellent, the bases are that magic mix of soft yet charred and blackened, beautifully seasoned and smoky.The reginella is Orazio’s ode to the Margherita: tomato, fior di latte and basil leaves – it's fresh, light and simple. But it might be the caponatina that thrills us most. Here, fior di latte is melted over the bottom with a fresh, slightly acidic relish of zucchini, capsicum, eggplant and tomato. The zinger here is the crumbly chunks of raw cheese that pop with every bite. 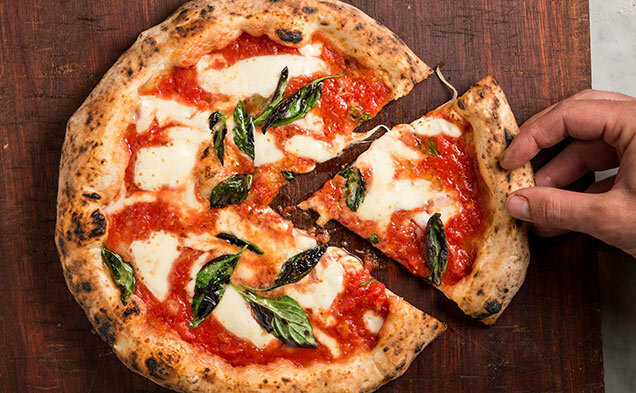 Here’s a fun fact: the shape you make when you fold a piece of pizza in half to eat it is called a libretto. Yup, just like in the opera. And you know you’re eating a good pizza when you can fold with ease. 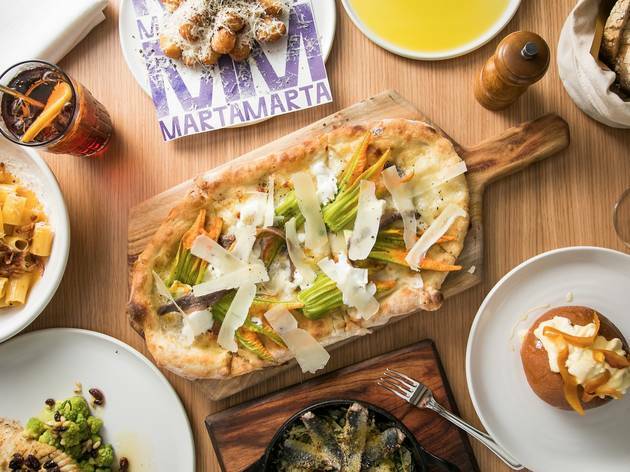 The list here is strictly classical (your Margheritas, your marinaras, your diavolas), though there are a couple of house specialties, such as the Lucio. 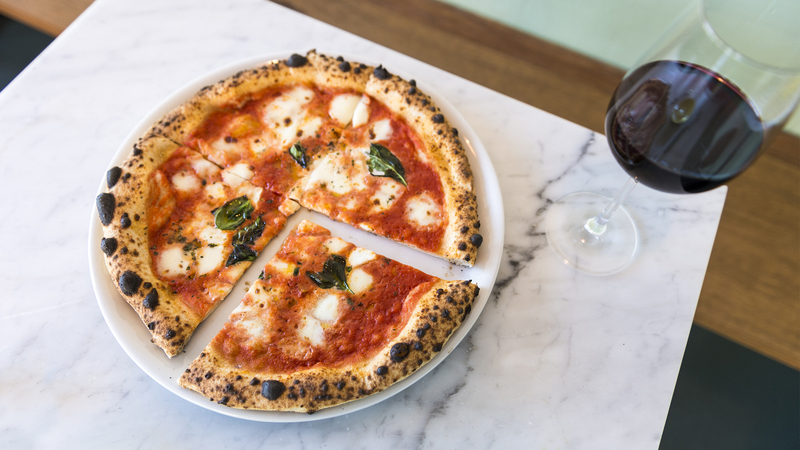 Named for chef and owner Lucio de Falco, the Lucio is about the only acceptable half-and-half in town. 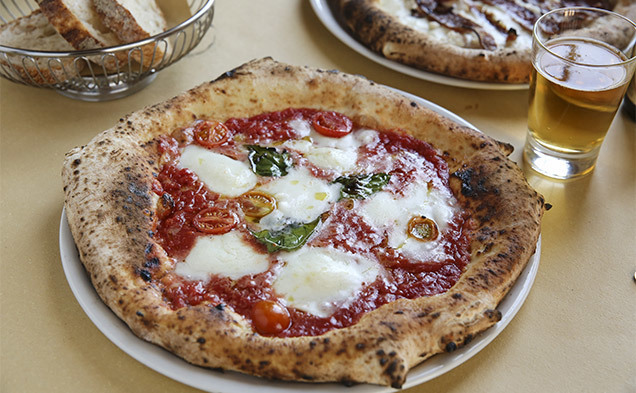 It’s half a regular Margherita – thin-based yet puffy and charred on the sides – and half a ham-and-ricotta calzone. Can we get a mamma mia? 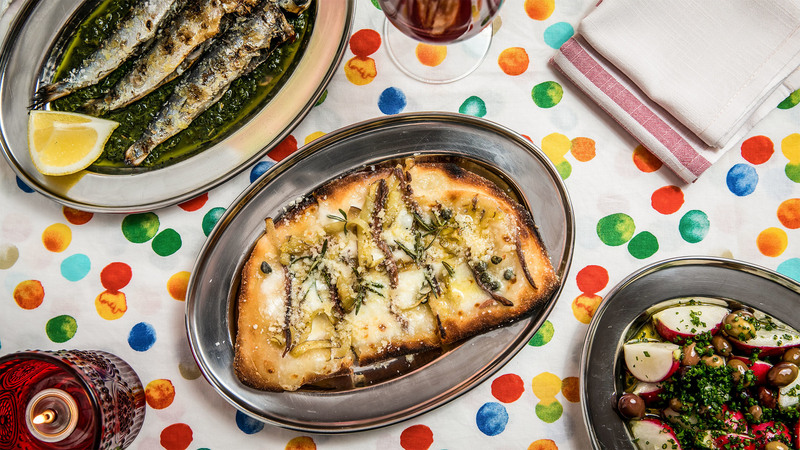 This tiny corner pizzeria is the latest venue for Piero Pignatti Morano and Kim Douglas, the A-team behind the ever-popular Two Chaps café. 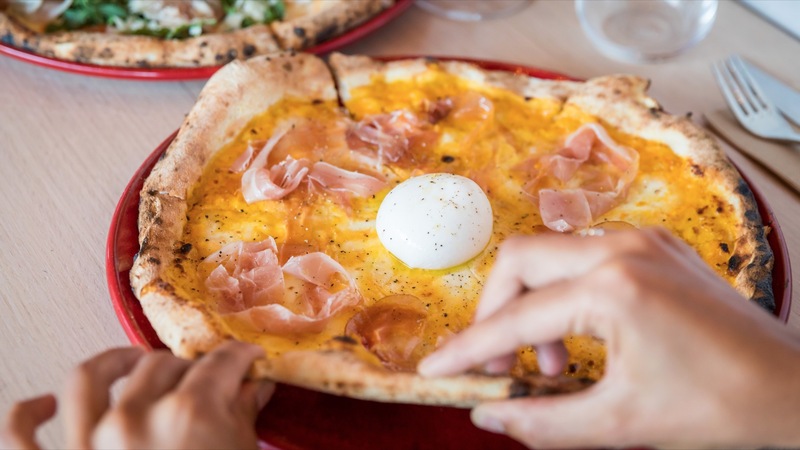 Madre borrows Two Chaps’ make-it-from-scratch philosophy and its ingredients, with chef Kim Douglas using the café’s four-year-old sourdough starter and a mix of three Australian flours to create the bases for Madre’s pizzas. 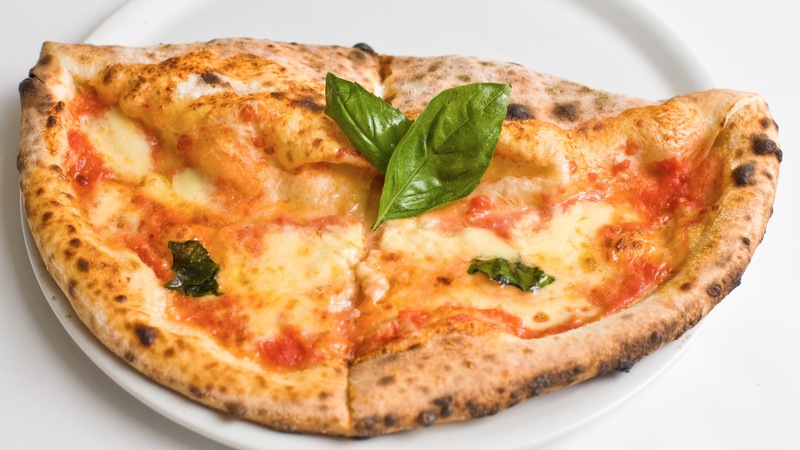 The three-cheese pie includes fior di latte from the same postcode, as well as melted portions of domestically made blue cheese and aged washed rind. 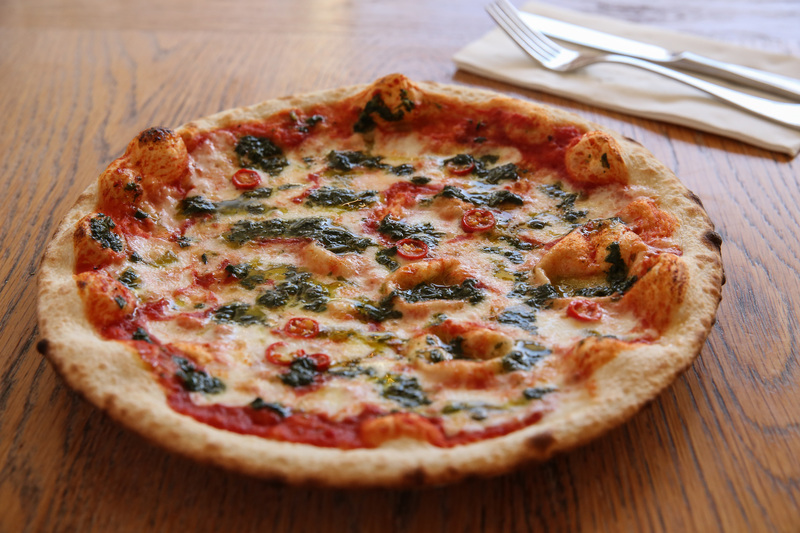 To stop the pizza from hitting dairy overload, the kitchen adds Warrigal greens from Pocket City Farms in nearby Camperdown and tips of cavolo nero from Moon Acres Farm in the Southern Highlands. Some hazelnuts, lightly toasted in the oven, are smashed and sprinkled over the top for a satisfying crunch. On a pizza. It’s sounds too crazy to work. The little tender clams are steamed and pried from their shells, while the broth is cooked down with white wine and cream until it achieves an intense concentrated chowder flavour. They spread it over the top and then apply a liberal sprinkling of parsley and a squeeze of lemon juice before it slides into the shiny red wood-fired oven that is radiating heat out from the centre of the restaurant. 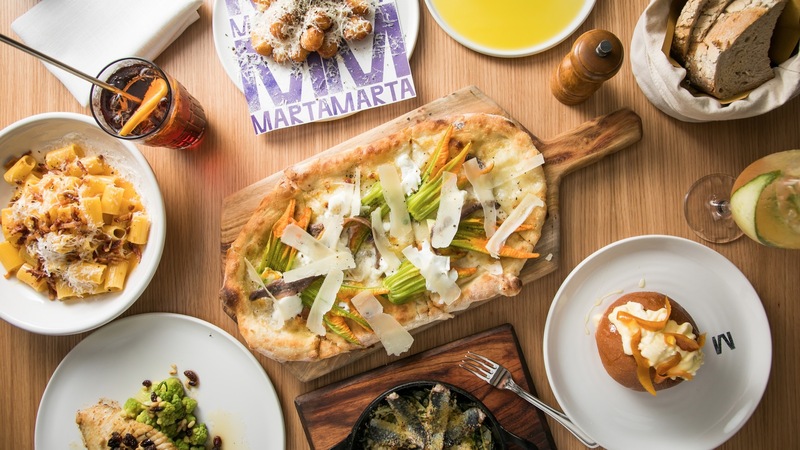 Pizza Mario fans, breathe a sigh of relief: David Cowdrill’s spinoff restaurant, Da Mario, is serving the Salamino. 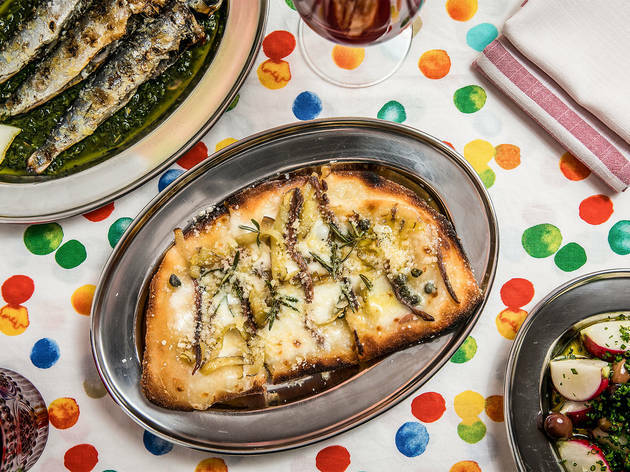 If you’ve had the cheese-and-sausage pizza before, you know why this is the best news you've heard this month; if you haven’t, allow us to explain. The Salamino is your mouth’s new best friend: a thin, charred base all covered in melted mozzarella and big puddles of ricotta and spiced up with crisp curls of salami. It's soft and rich and runny and crunchy and salty and sweet and if you're anything like us, you'll fight like a fiend over the last piece – and then you'll order a second serve. 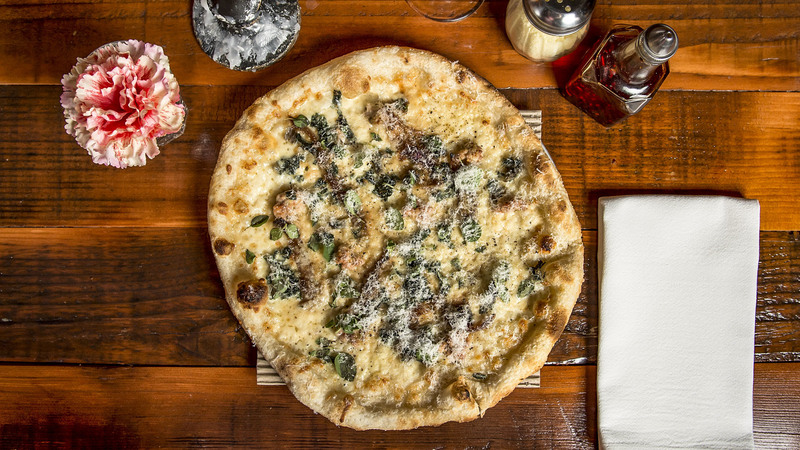 The pizza here is Tuscan style and the dough is rested for 48 hours, resulting in a crusty, fragrant bready base. The Bologna involves folds of buttery, soft mortadella, contrasted with a crunch of a scattered pistachios. The Pumpkin uses roasted creamy gourds as a base and tops it with sweet, just-caramelised chunks of onion, smoky scamorza cheese and paper-thin slices of pancetta. 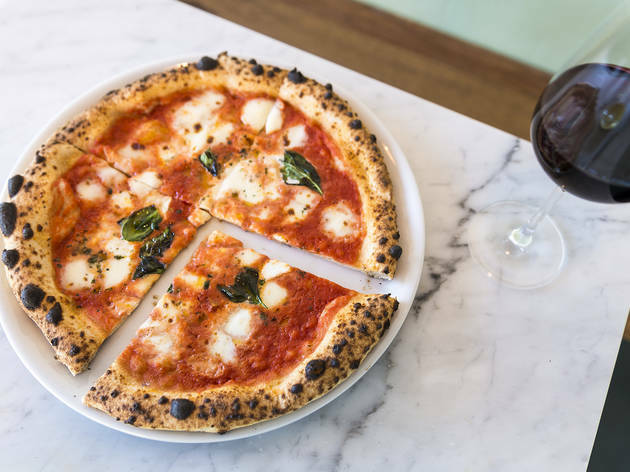 It’s hard to reinvent the pizza wheel, but these two combos make strong arguments for steering away from the typical pie. 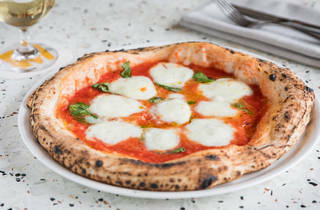 While you always want to try a Margherita as a control pizza (you need to compare the classics) the one that’s getting a second date at Matteo is the Burrata. 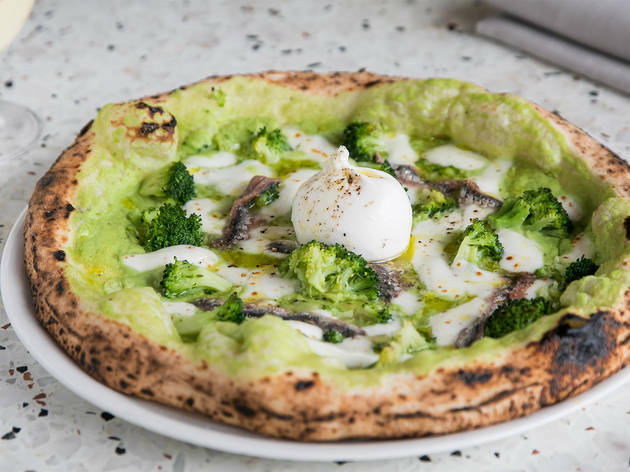 It's strongly recommended by our waitperson on the merits of the just-cooked broccoli florets, cavalier anchovy application and a whole, fresh burrata orb in the middle like a pearl, destined to be smashed open and spread across the blistered pizza surface. Talk about the cream of the crop. For some, when you say sausage on a pizza the only answer is pepperoni. But There's a very strong argument for the rich fennel-spiked sausage meat on the mandingo at Mary's Pizzeria. 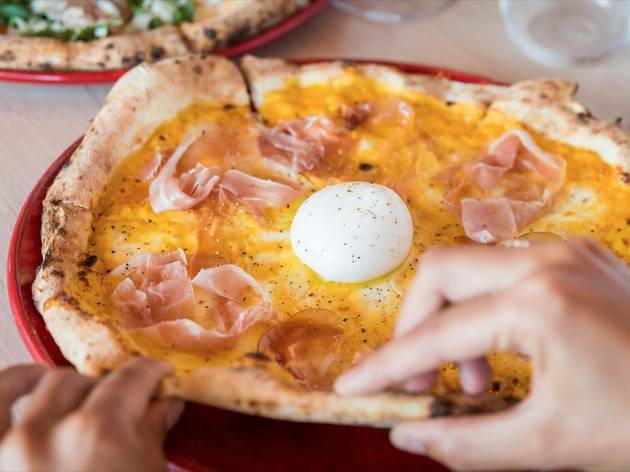 They've added rounder, flatter New York-style pies to the line-up of thick, cheesy Detroit-style deep dish pizzas, and once you add roast onion and the combined cheese assault of mozzarella and parmesan for bite it's a study in comforting carbs. 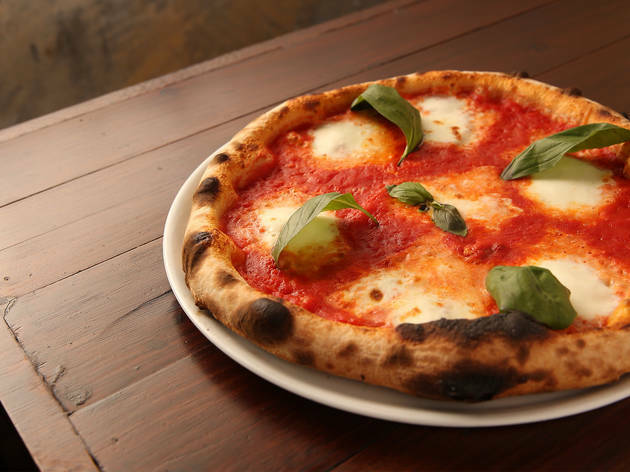 Here the pizze are smaller, and oval, not round. 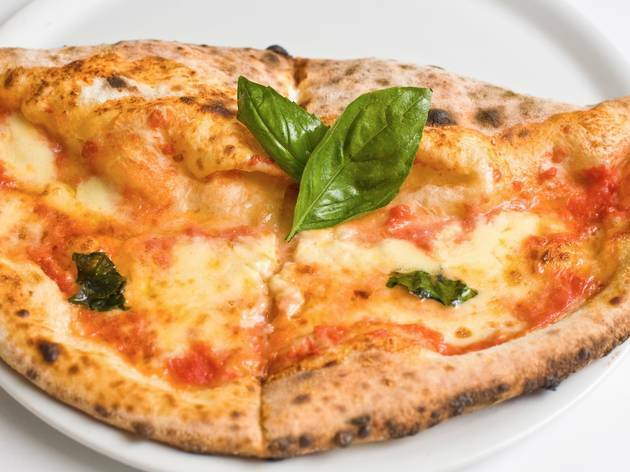 They’re made from a very soft dough – up to 80 per cent water – that is proved for 72 hours to keep it light and fluffy, and then crowned in 11 flavour combos, including a Margherita. 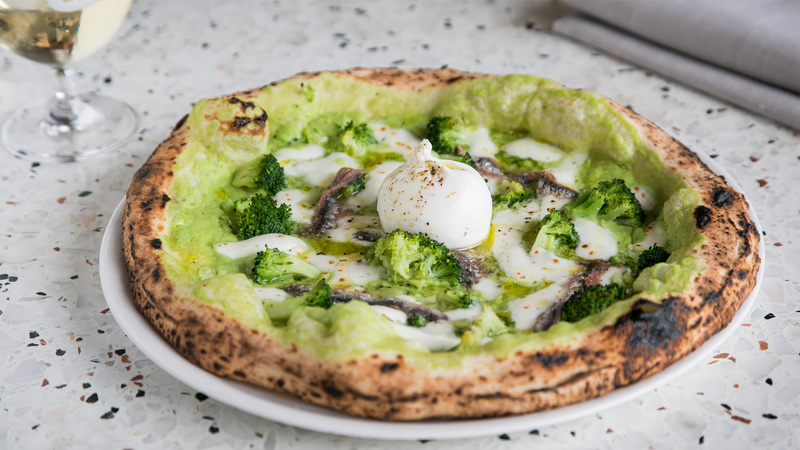 But we’d go back for the de’ fiori, a white base capped with melted and fresh mozzarella, parmesan, zucchini flowers and whole anchovies that come crashing through all that light, springtime freshness like a flavour wrecking ball. 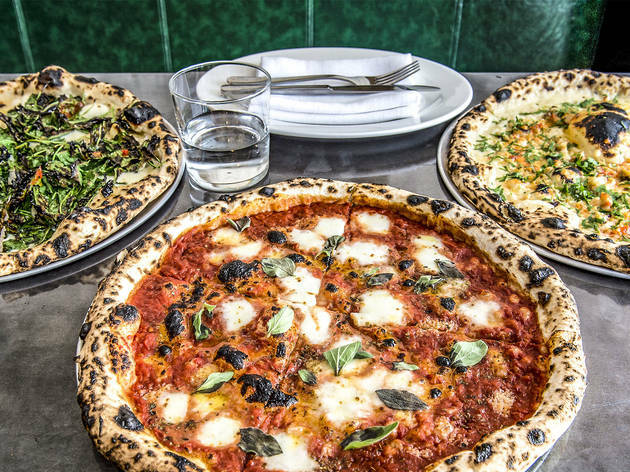 You might already consider pizza a treat, but here they are frying their pies so that they’re extra crisp and golden, glossy with oil and topped in three colours. They come in three colours: red (pepperoni, tomato, chilli, cheese), green (pesto, cheese, capers, herbs), and white. 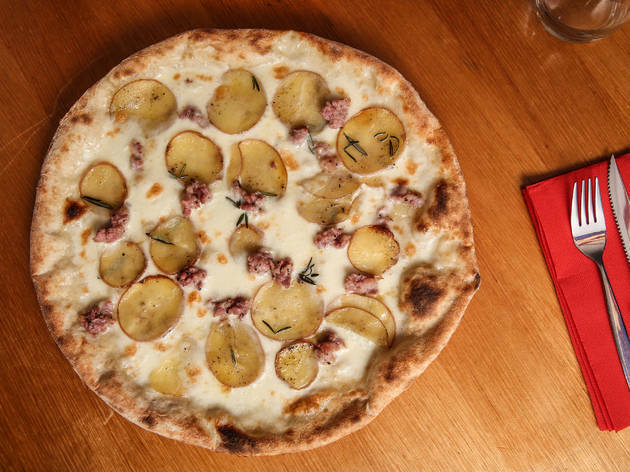 This one is our pick, topped with potato slices so thin you can see daylight through them, rosemary, parmesan and anchovies all slicked in enough olive oil to please a nonna and horrify a cardiologist. 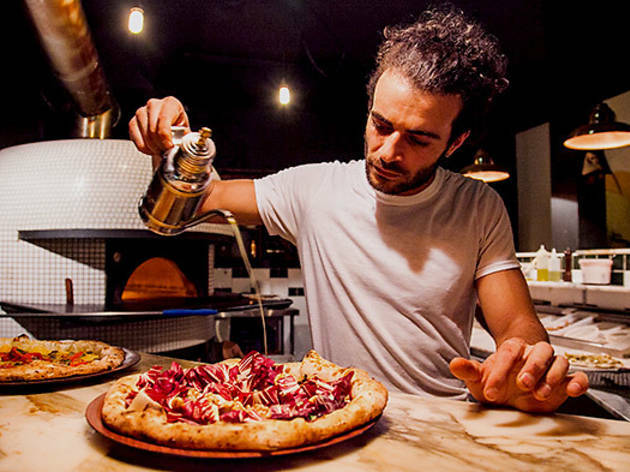 This tiny little shop is a loud and local slice of White Bay, offering traditional pizza from (gasp!) an electric oven. They’ve got some pretty strict rules here. Try ordering a ham-and-pineapple or a half-and-half and you’ll be laughed out of Balmain. 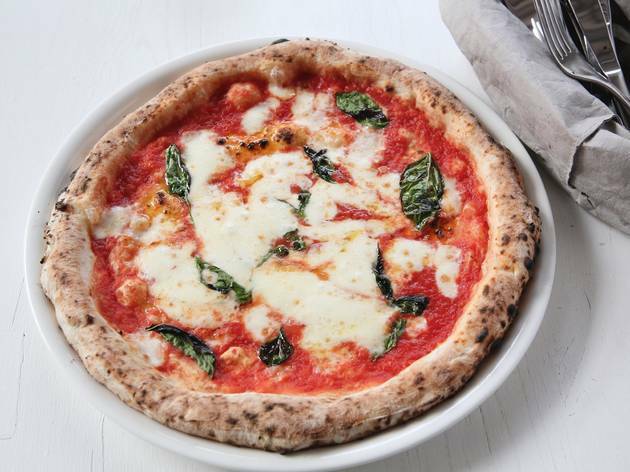 But there’s no need for a Tropicana when you’ve got a Margherita. 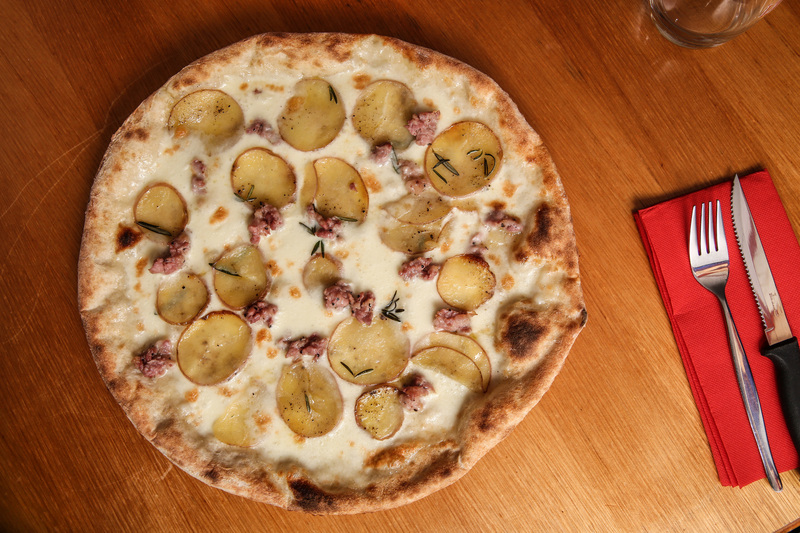 As much as we always enjoy that classic of tomato, Italian buffalo mozzarella and basil, it’s Rosso Pomodoro’s pizza bianco – potato, Italian sausage and rosemary – that gets our vote. 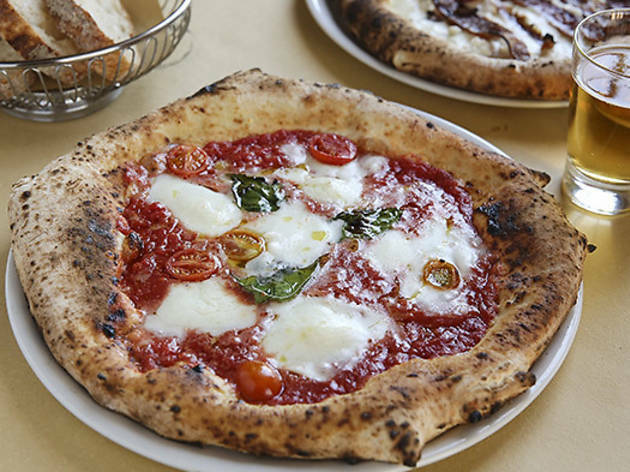 The pizza base is charred and bubbly, yet soft and yielding. The sausage is broken into little chunks, flavouring the thin, starchy slices of potato, all perfumed by the rosemary. Turns out pizza without cheese is still bloody excellent. 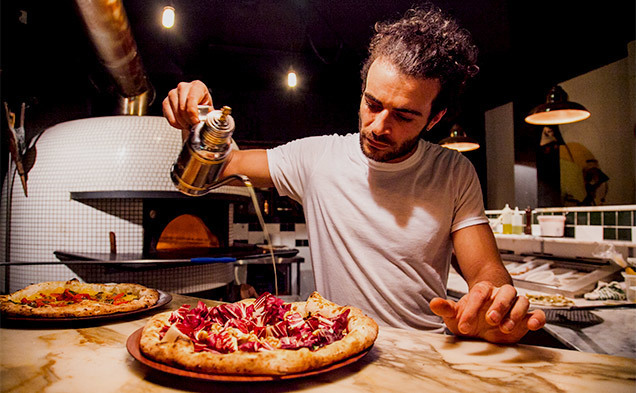 Sure, there were a lot of naysayers on the internet when Gigi on South King Street changed to a plant-based menu, but they were wrong, because a chewy, wood-fired pizza base covered in a layer of sweet golden tomato puree and tender ribbons of capsicum gets all the umami depth it needs from a liberal dose of olive tapenade, capers, chilli, oregano and olive oil. The salty, savoury and spice trifecta hits all the right flavour zones on your tongue – we swear you won’t even miss the mozzarella. Don’t believe us? Just try getting a table – it’s a packed house every night. These aren’t the can’t-get-it-through-the-doorway pizze of your American dreams – here they fit neatly on the plate, and there’s no need for a wire stand to get everything on the table. The piccantosa is maximum flavour for minimum fuss. 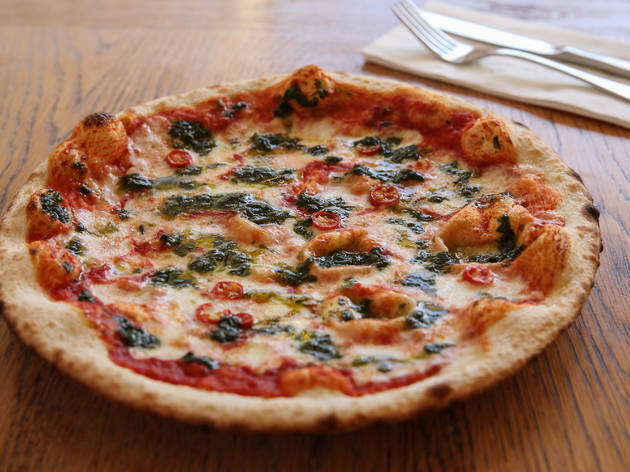 It’s a pantry-friendly riff on a Margherita – when the basil plant is hibernating just swirl some pesto over the top, add some chilli and you’re good to go. 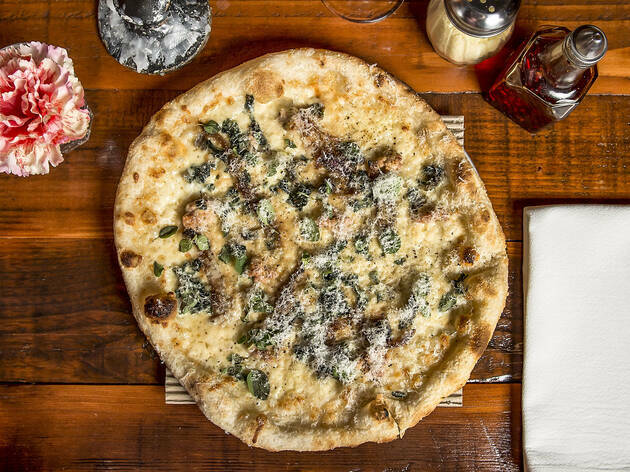 The speck e funghi trifolati takes care of the toppings the piccantosa forgot. Mixed mushrooms are enmeshed in a cheesy web of mozzarella and then dressed in thin, gauzy strips of prosciutto. 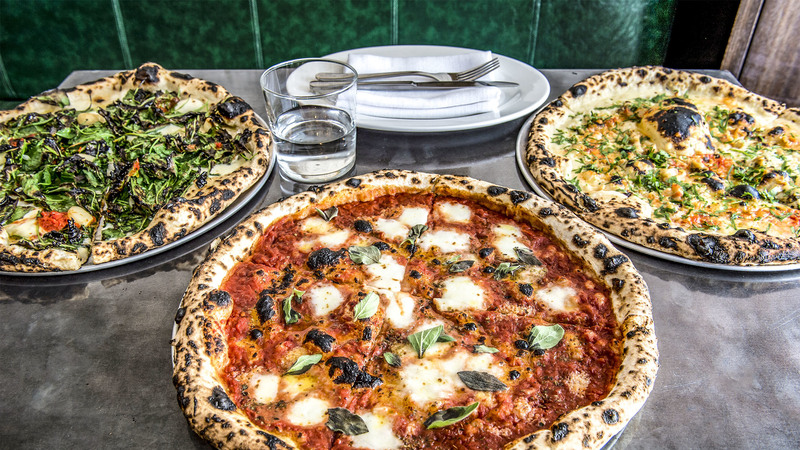 The lights are low, the chatter is jovial and the pizza is excellent at the Surry Hills arm of Bronte’s favourite pizza parlour. 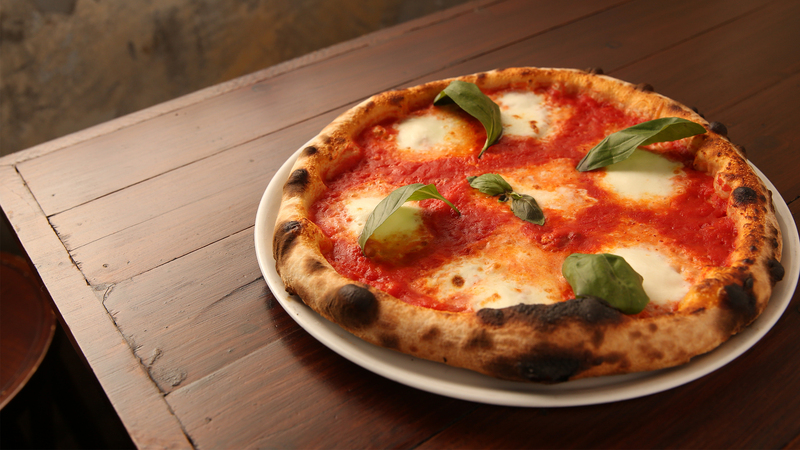 They have eight pizze on the menu that can be ordered bianchi (white) or rosso (red). 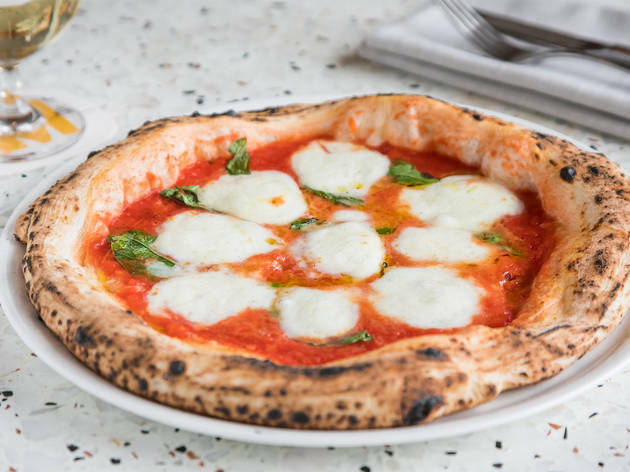 The Brandi is as rigid as a military guard when it comes to following the rules for an AVPN-approved Margherita: six orbs of DOP cheese, a vermillion tomato base and four fresh basil leaves on top. The careful layout looks like an edible quilt piece, and straight out of the oven the bases here have just enough structural integrity to get the food to your mouth without it dropping in your lap. Here comes fun. And we mean it. Never has Lane Cove seemed like a more attractive place to take a long Friday lunch. Inside, the huge wood-fired pizza ovens are getting a thorough workout as the burly-armed pizzaioli push huge wooden paddles laden with pizza in and out. It’s here that you can eat a two-metre-long pizza. That’s the equivalent of just under two Kylie Minogues, toe-to-toe. It’s also about eight Minogues worth of lunch. Go for a metre-long pizza with your choice of toppings if you’re not feeling quite as ambitious. Like a pizza that thinks outside the box?